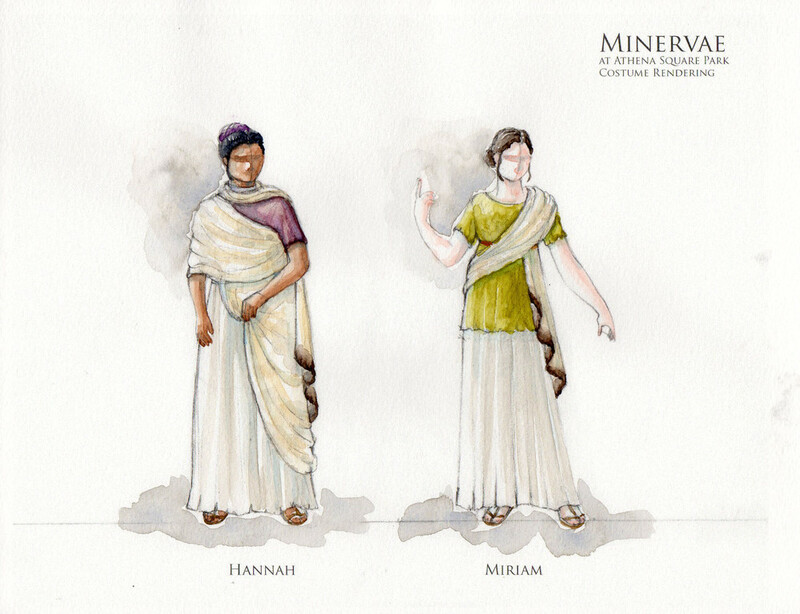 "- Scenic and costume designer Tatsuki Nakamura further supports this with an elegant and classical visual design for the piece—perfectly coordinated coloredtunics and simple wooden pillars evoke an effectively classical atmosphere. 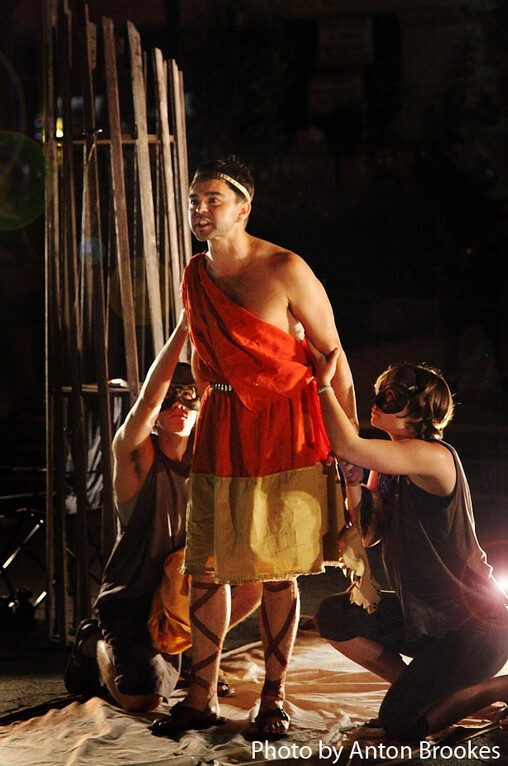 Dramaturgical nitpickery aside, On The Square Productions has created a smart, fun, and original piece addressing questions of faith, a rare subject among young, urban theater artists. 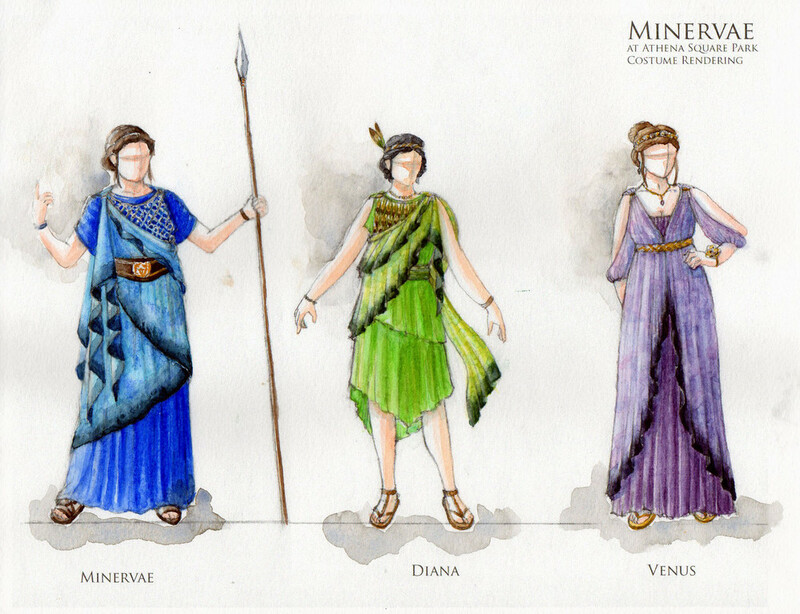 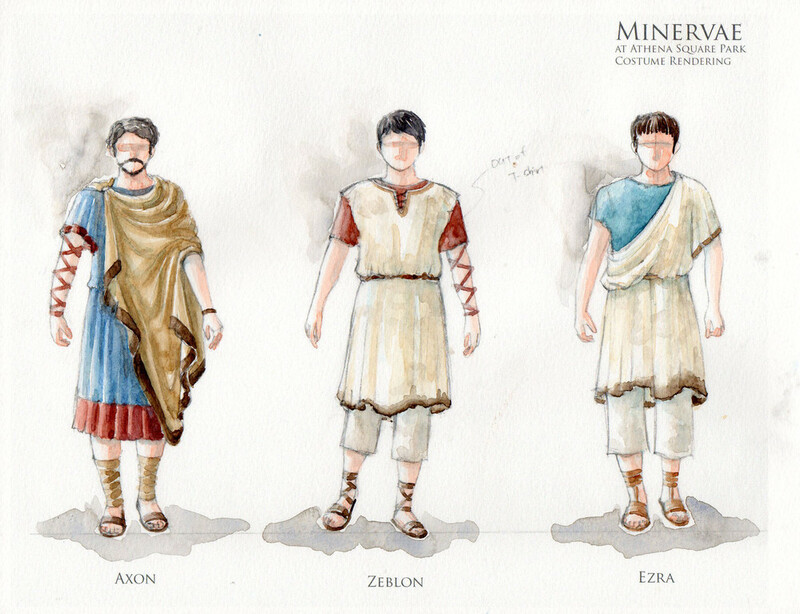 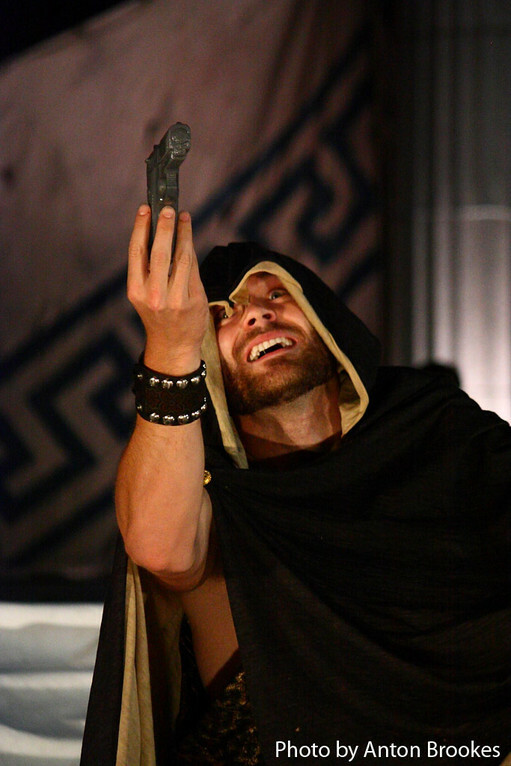 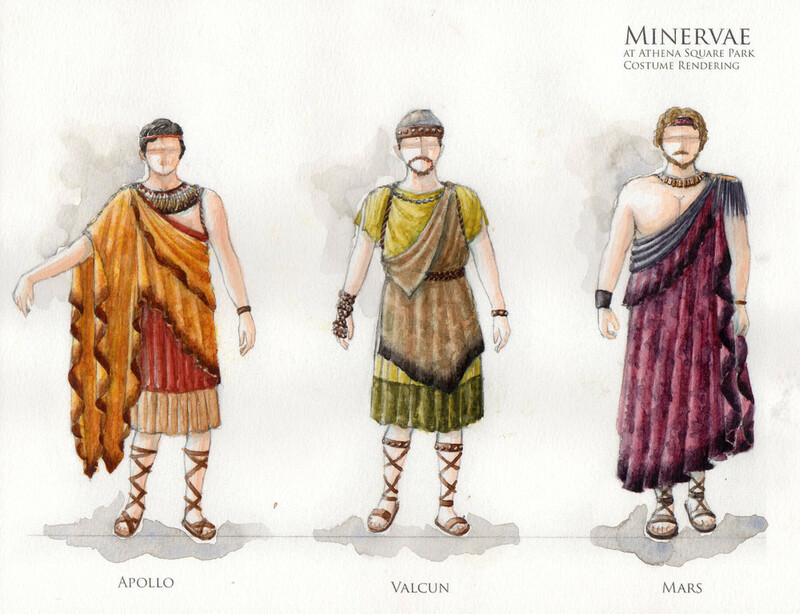 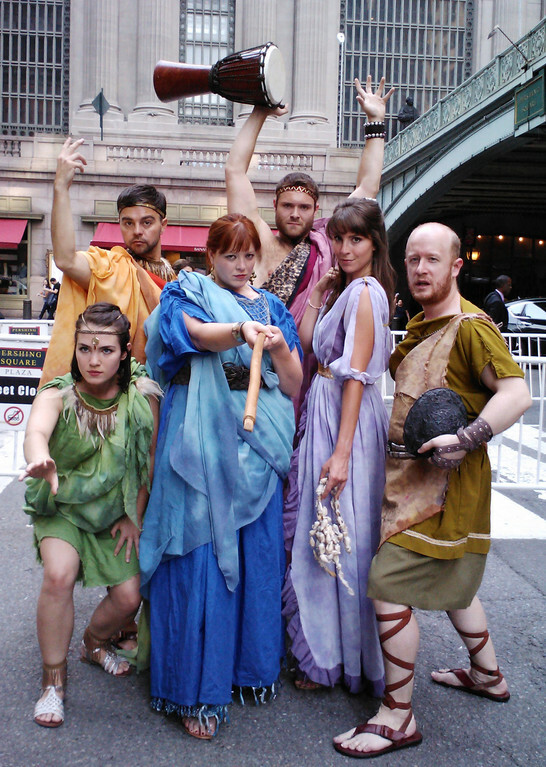 Given the free tickets, it would behoove any Greek myth enthusiasts to come and geek out over The Minervae." 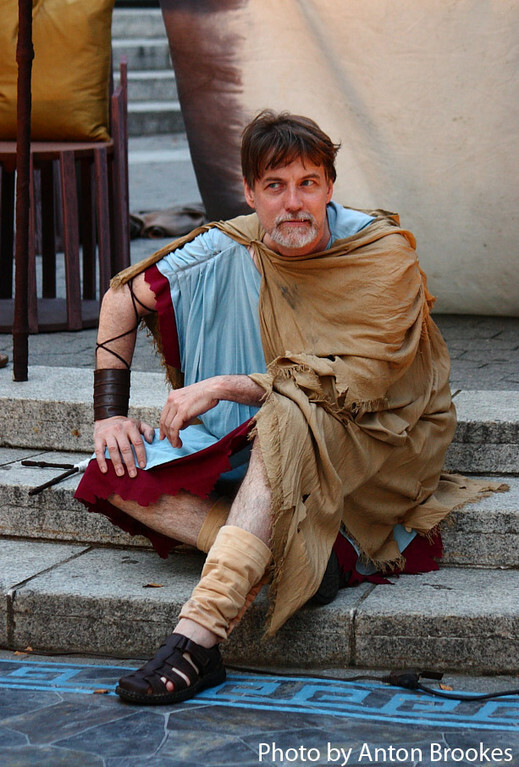 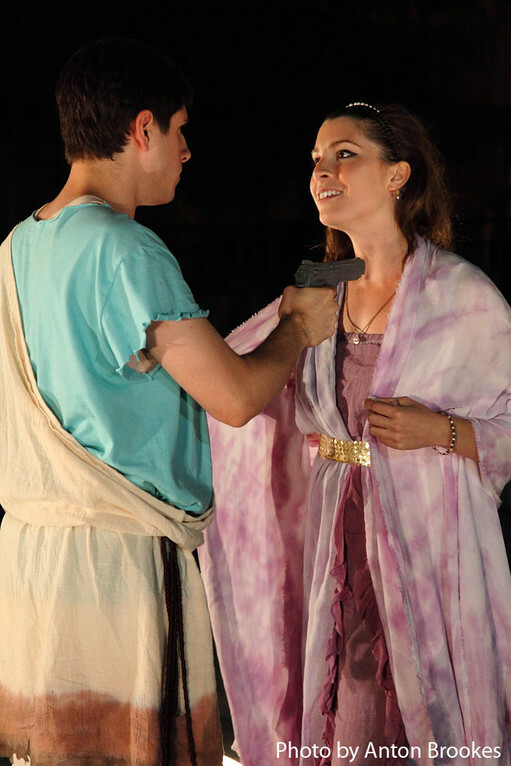 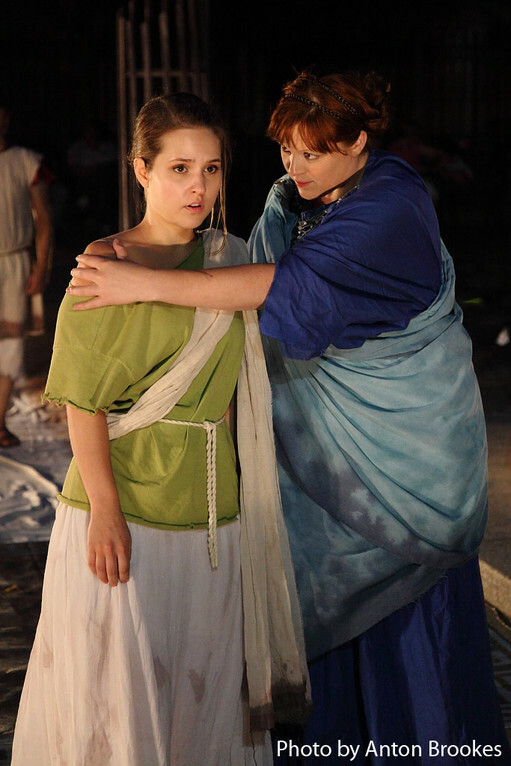 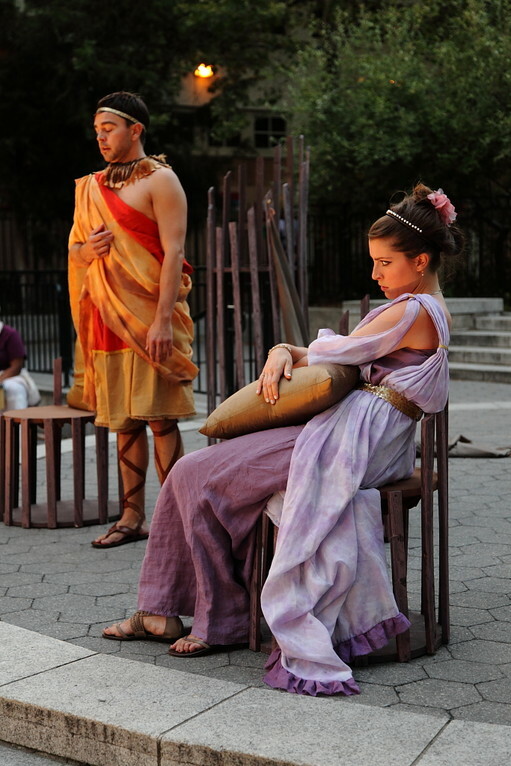 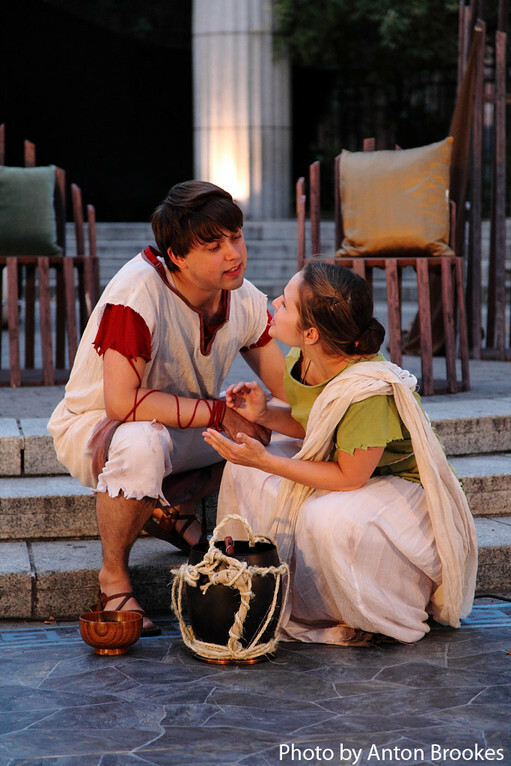 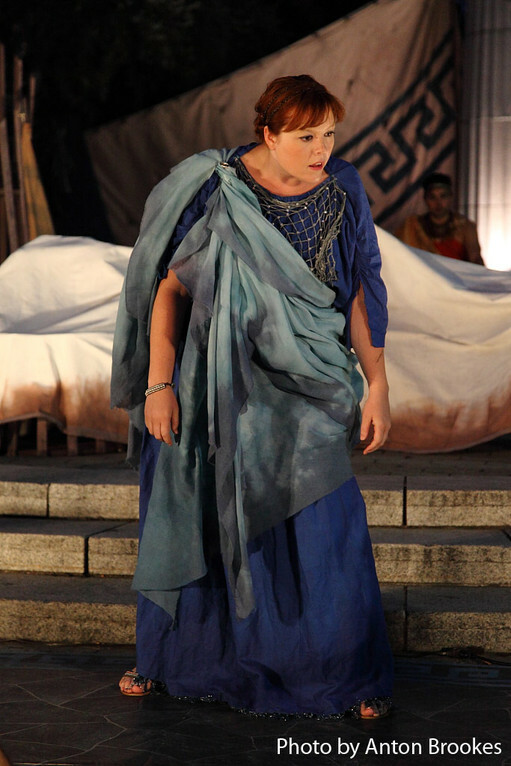 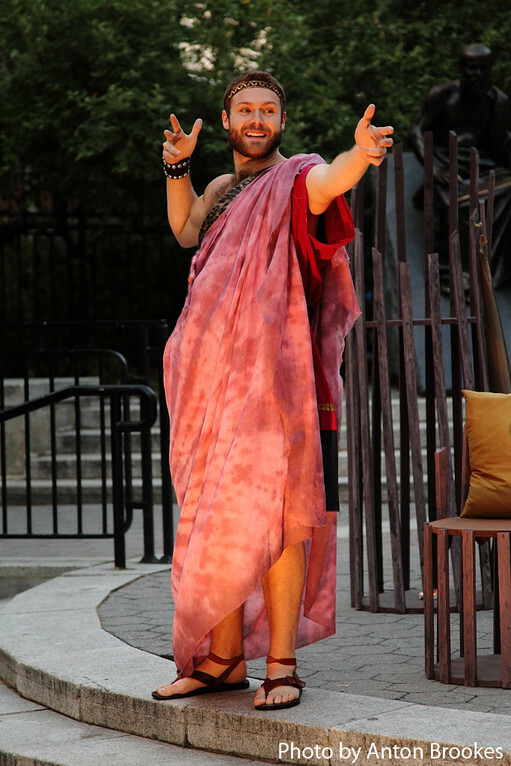 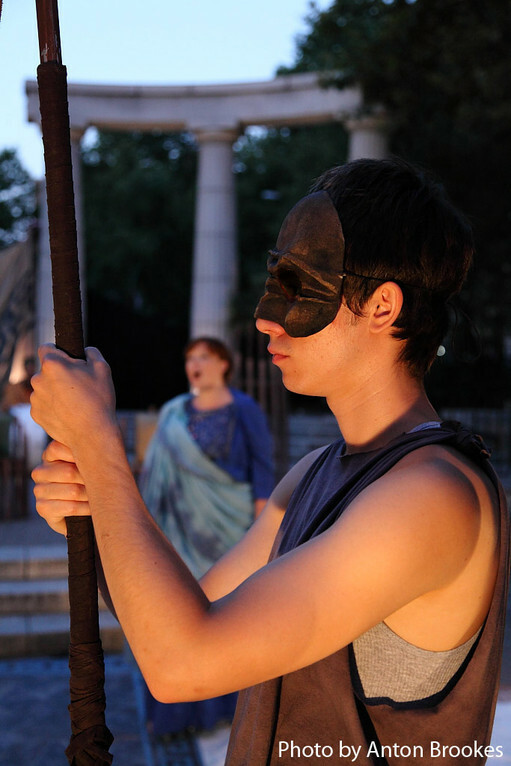 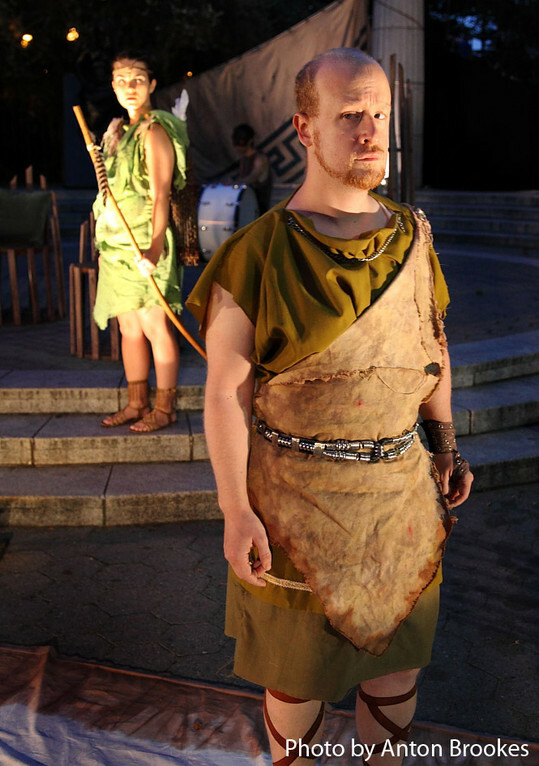 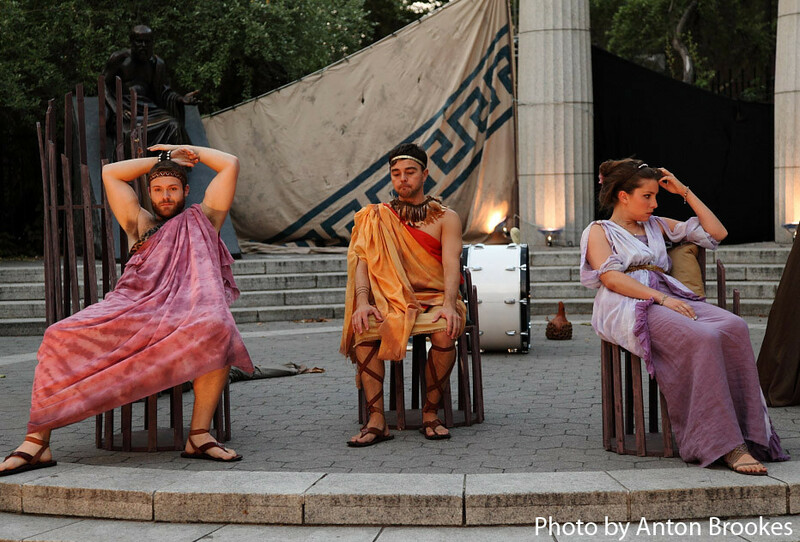 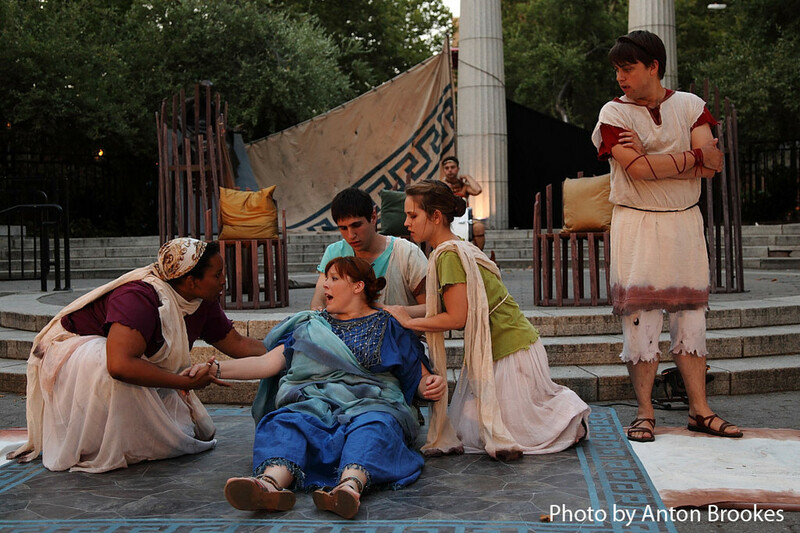 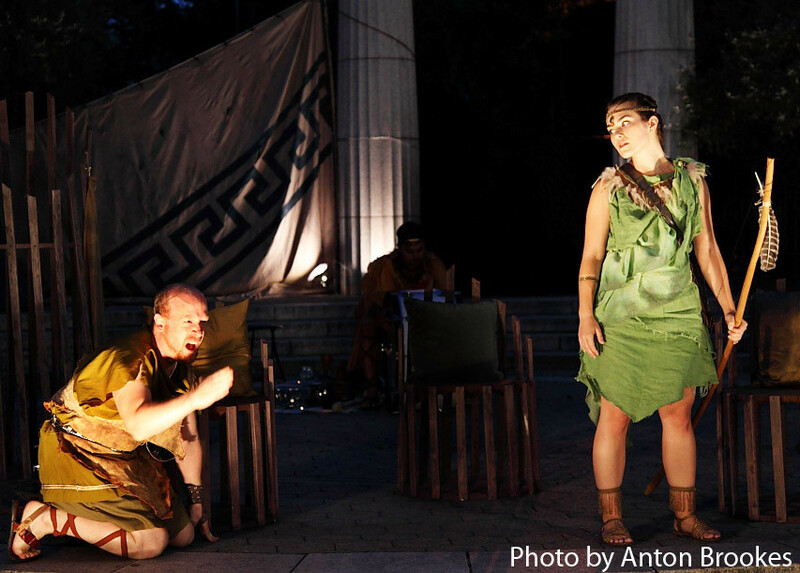 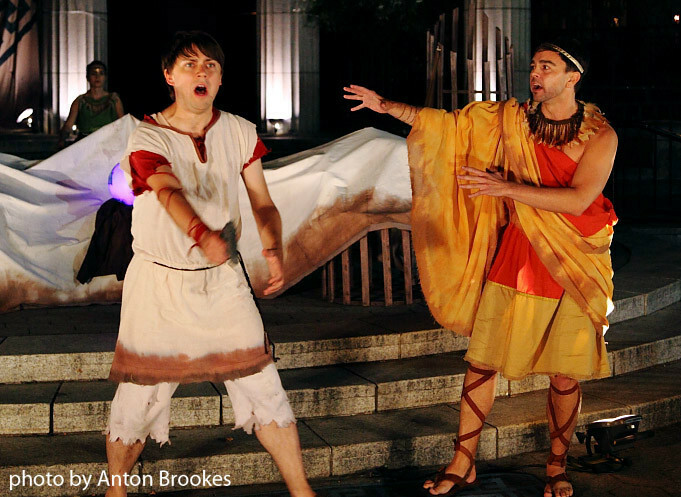 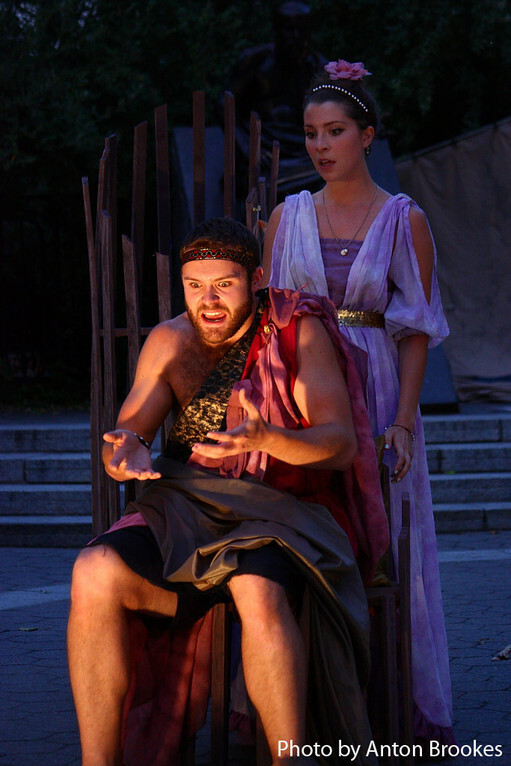 " Designer Tatsuki Nakamura's tasteful set decorations and costumes help the action coalesce with the neoclassical columns and statuary in Athens Square Park, thus offering a dynamic space for Bost's considered musings on God, gods, and man."